a nearly uninterrupted 12 months on the road, playing festivals across the globe, and touring with their fellow 2016 breakout artists Sunflower Bean and Mitski. Propelled forward by their own momentum, which they corralled like the barely contained energy of their explosive live sets, it was a transformative experience, and upon returning home to Toronto the band’s leaders, singer Jasmyn Burke and guitarist Morgan Waters, found themselves possessed by an irrepressible burst of creative energy. 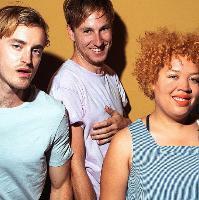 Here are the latest Weaves mixes uploaded to Soundcloud. Do you promote/manage Weaves? Login to our free Promotion Centre to update these details.